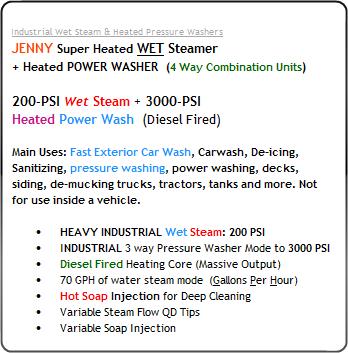 Please note: NEVER EVER use steam on Humans, animals, or other creatures. 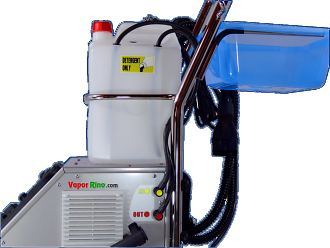 It is used to sanitize hard & soft surfaces like metal, plastic, glass, wood, and fabrics. 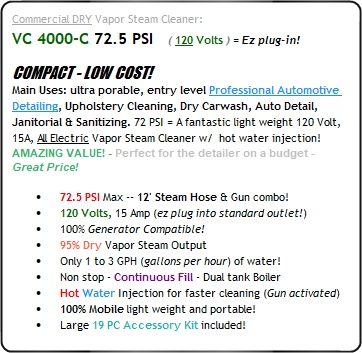 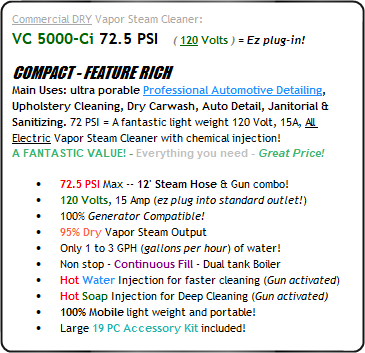 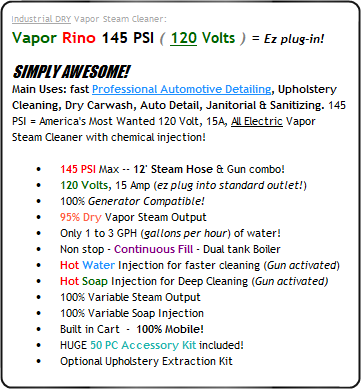 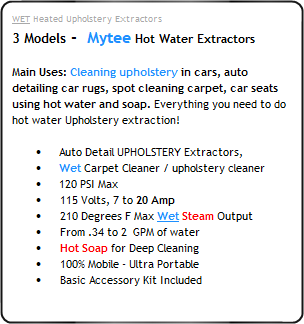 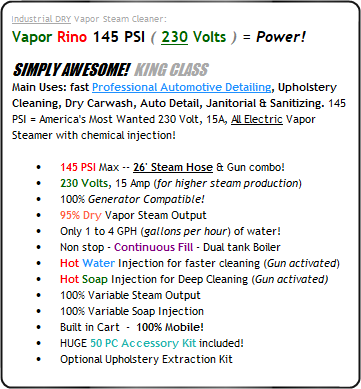 Dry Vapor Steam System for?